Probably one of the things I hear most is ‘I wish I could go vegan, but cheese’- and let’s be real here: that used to be me. Before I became vegan, I put cheese on and in literally everything and it was a staple part in my diet and I would lie if I’d say it was easy to give it up. After going vegan I focused very much on not using any cheese replacements, but instead tried out more diverse cuisines, which naturally did not include any cheese or substitutes. 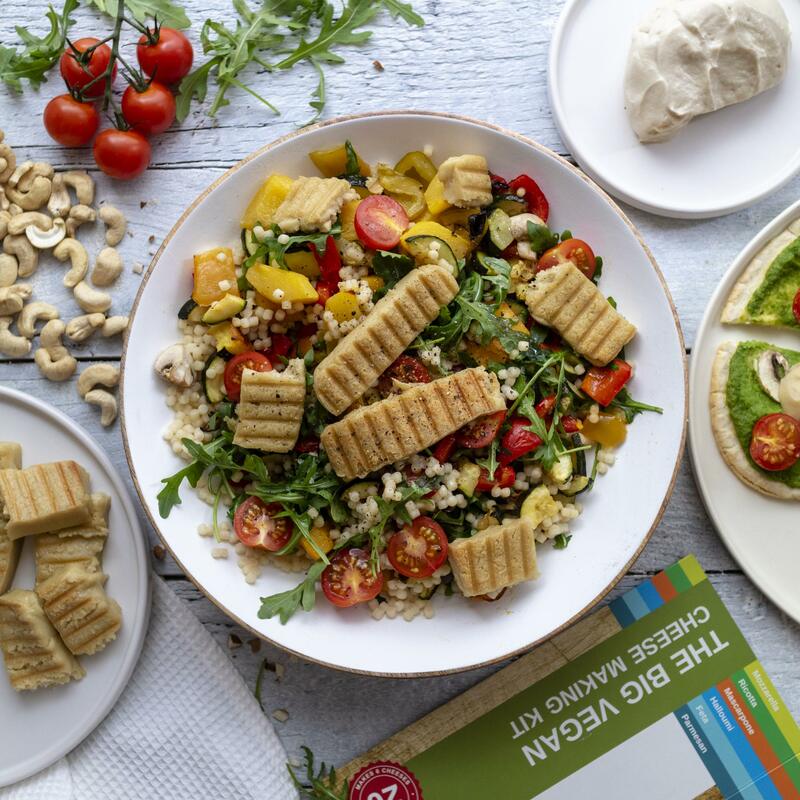 For me this was the easier route to go down back then, as the vegan cheese options were terrible in early 2014 – this way I simply changed my habits, instead of settling for a mediocre replacement. 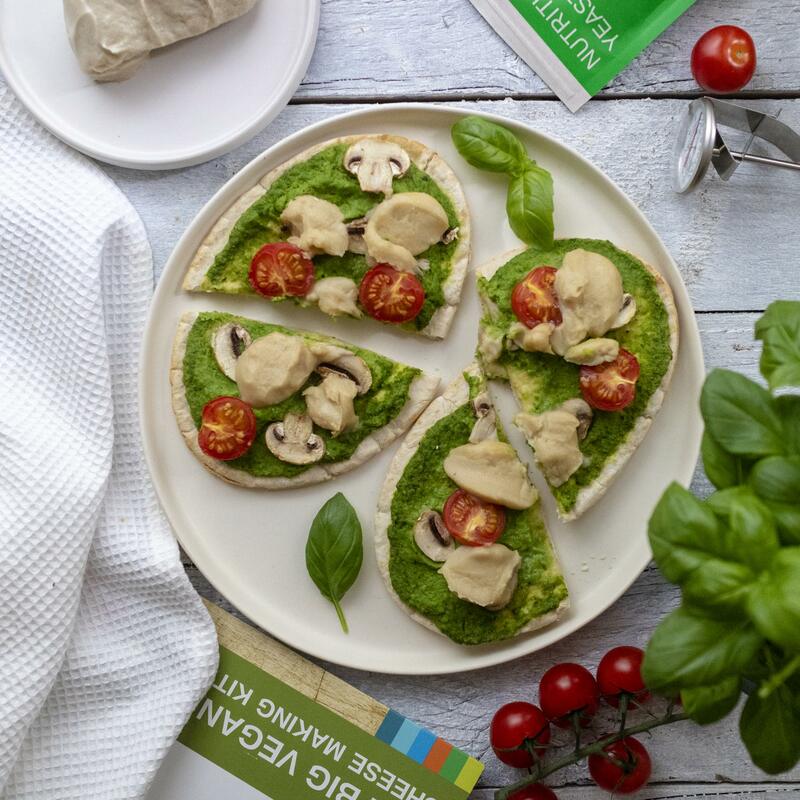 Since then so much has changed however, there have been more and more options for delicious vegan cheese of all kinds popping up on the market. But one thing they have all in common: They are pretty pricey. 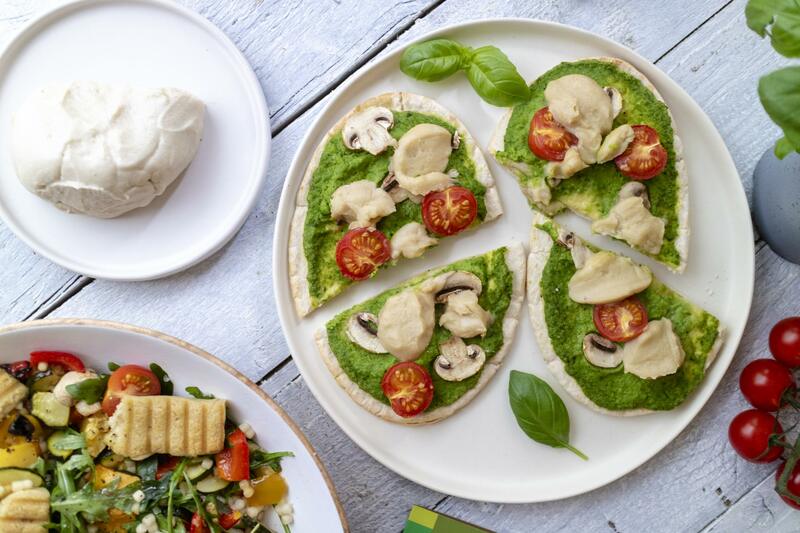 They are definitely worth it, I can tell you – but vegan cheese becomes a very special treat when you’re on a small budget. I’ve tried making my own cheese multiple times in the past, but it was only halfway successful, and just not the real deal – and by far not as good as many other vegan cheese options I could buy in the store. 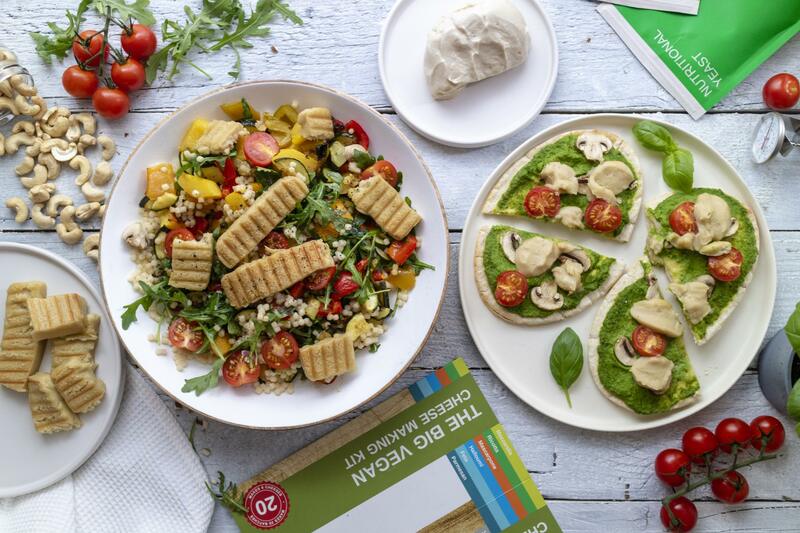 I pretty much gave up on trying to make my own cheese a while ago – until I found out that there’s a vegan cheese making kit available! 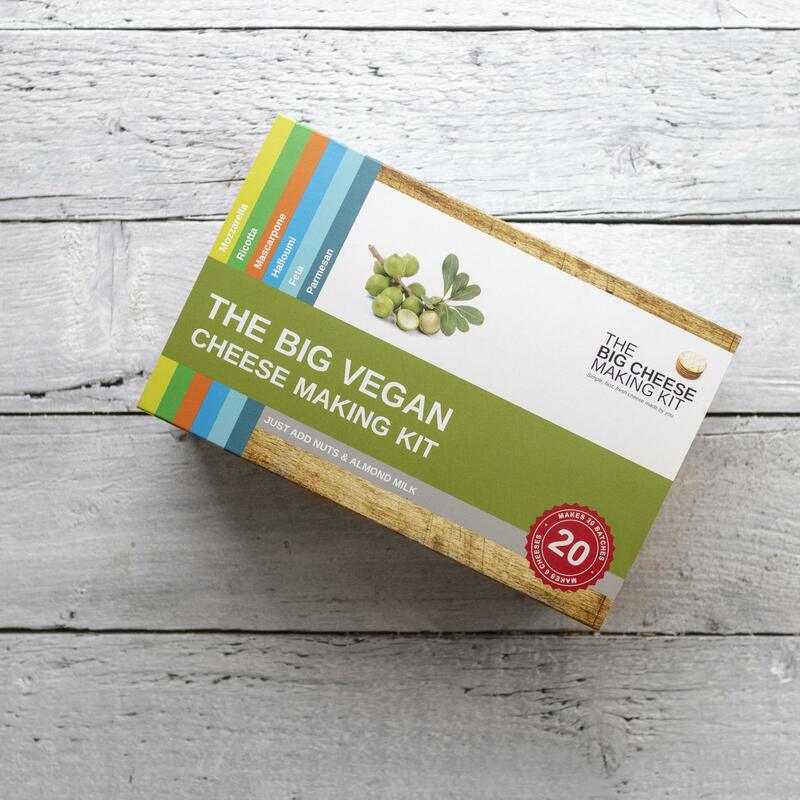 So I went and teamed up with The Big Cheese Making Kit to take their vegan cheese making kit to the test. The included cheese recipes are super simple to create – all you need is a blender and a stove top, as well as adding almond milk and the nuts required for each recipe. Both Mozzarella and Halloumi are using cashews (100g each!) that I soaked prior. Ideally you would soak them for at least 4-6 hours or overnight, but if it has to be quick, you can also cook them in boiling water for about 20 minutes to soften them. 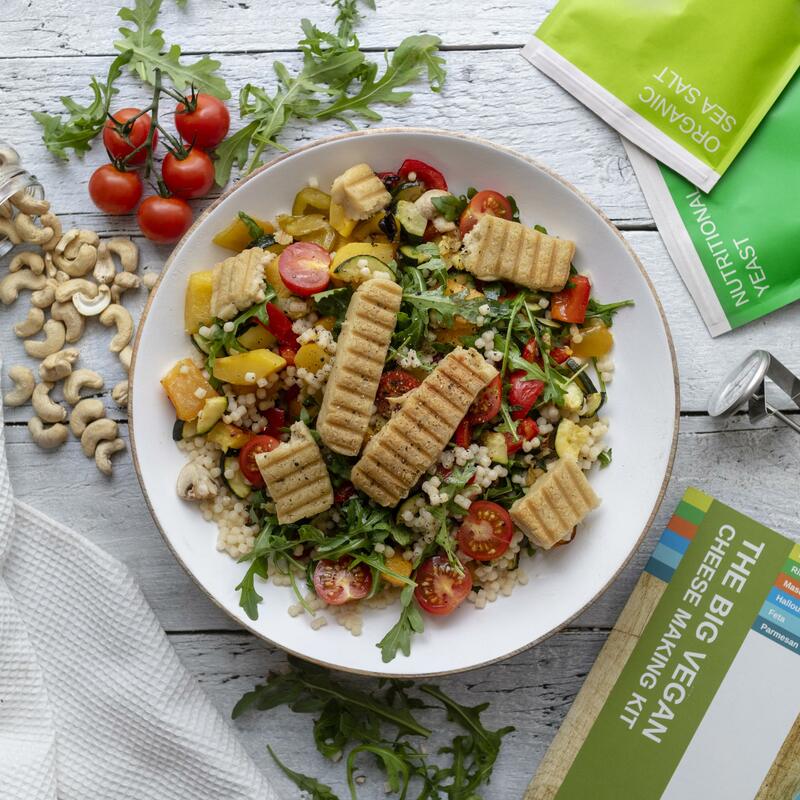 All ingredients are then blended together until smooth and the paste is then added to a non-stick pan over medium heat and heated up to 60 degrees C – this is where the thermometer that comes with the set comes in! You will need to constantly stir the paste as it thickens with increasing heat, otherwise it could burn and stick to the pan. For the mozzarella I prepared a bowl of ice water and formed a ball of mozzarella as soon as it cooled down enough to handle, then dropped into the ice water to firm up. According to the instructions, the mozzarella is best used right away, but can be kept in an airtight container in the fridge for up to 3 days. The Halloumi recipe called for it to be transferred to a small square Tupperware and left in the fridge to firm up over night. It would then get the typical Halloumi shape and can also be sliced. 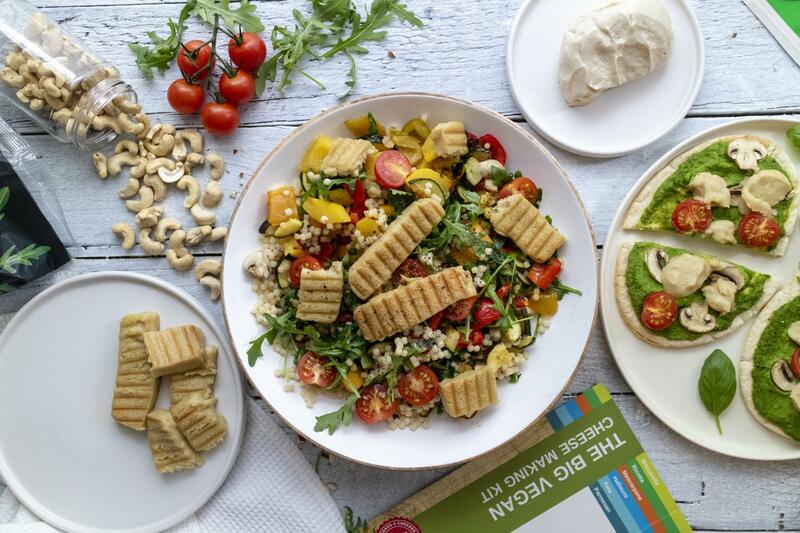 Start by creating the Halloumi according to the instructions from The Big Vegan Cheese Making Kit, as it will need to rest in the fridge over night. Heat up a griddle pan over medium high heat – you can alternatively use a sandwich maker with a griddle top to create the typical grilled Halloumi lining. Slice the Halloumi into 1cm thick slices (can be thicker if you like!) and grill them with a little oil until lightly crispy. Whilst the Halloumi is preparing on the griddle, chop the pepper, mushrooms, onion and courgette into bite size chunks, drizzle with a little Olive Oil, season with salt & pepper and pop into the oven to roast at 200C. Prepare the giant couscous according to packaging instructions, wash and cut the cherry tomatoes into halves and wash the rocket salad. 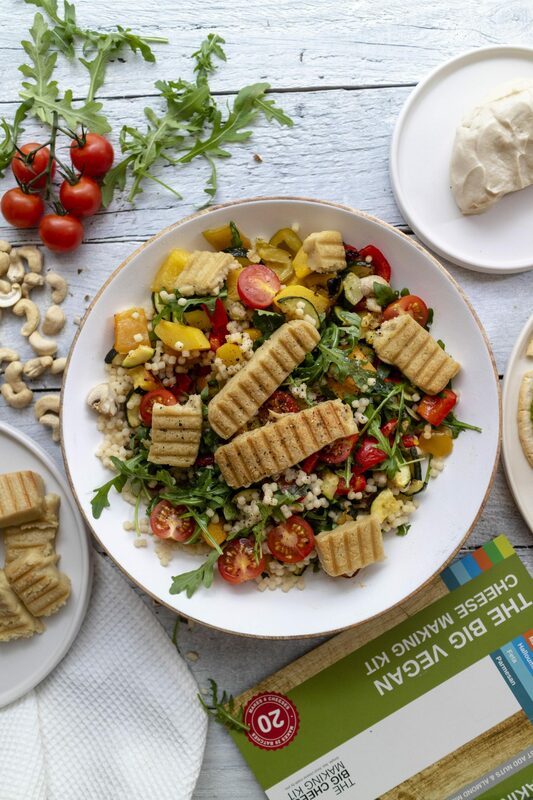 In a large bowl combine the grilled veggies with the couscous, tomatoes and rocket salad. Prepare a dressing from 1 Tbsp Olive Oil, salt, pepper, dried dill and 2 Tbsp Apple Cider Vinegar and toss the veggies and co in the dressing. Top Tip: If you’re feeling nutty, some toasted walnuts or pecans would go just perfectly with this couscous bowl! I hope you’ve found this recipe and The Big Vegan Cheese Making Kit Review helpful! I’d love to find out what you thought of it and which recipe you’ve tested out – feel free to message me on Instagram @romylondonuk. In friendly collaboration with The Big Vegan Cheese Making Kit.